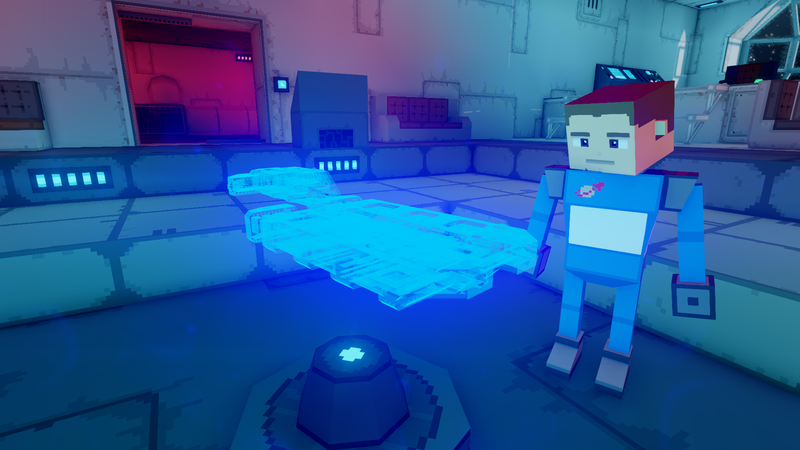 Skywanderers is a game about building spaceships and wandering among the stars. Think Minecraft meets Elite ! Skywanderers is a voxel sandbox game sets in a procedural galaxy made of billions of stars. Use blocks to create spaceships, dock into space stations, mine asteroids inside planetary rings and discover the wonders of the galaxy! Welcome to the second post on the gameplay of Skywanderers ! This time we will have a look at an element that takes an important place in the game : the galaxy holomap ! The world of Skywanderers consists in a galaxy of around 100 000 light years in diameter. It is made of several billions of star - if you want to find your way into this immensity you will need a solid map ! This is where the galactic holomap comes into play. The holomap is a cliche in the science fiction imaginary. From Mass Effect to the latest Starwars ep.7, it helps to create beautiful and uplifting moments. In the case of Skywanderers, it also act as a the promise of the game : all of this is real, you can fly anywhere you want. All this worlds are yours to take ! (except Europa of course). But it is not simply designed to be pretty, it is actually a real fonctionnal map ! When you open the galaxy map it will show in full. At this stage the only stars visible are super-giant stars, that can be 100 000 times brighter than our sun! You can zoom several levels to see more stars. Once you found a star that you like, you can assign it as a warp target, or you can select it to view its planets orbiting around. Then you can continue again : select a planet, then view its moons. You can even find your spaceship or other ship or stations, and select them to visualize them ! 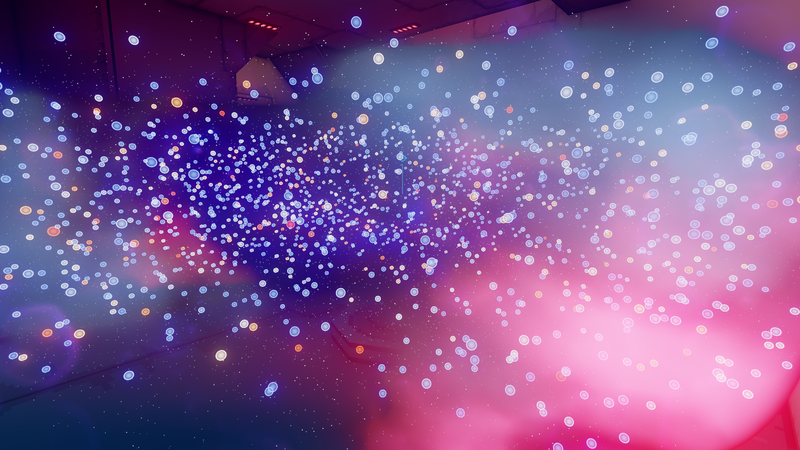 This was for the galaxy holomap as it is in the game right now. Of course in the future more features will be added as more gameplay elements will be implemented, like scanning for resources, anomaly or threats. 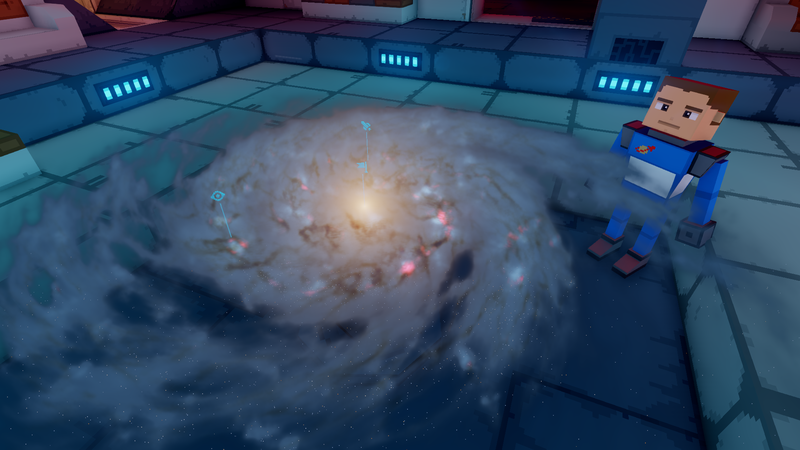 On a technical side this galaxy is made from a volume texture generated with compute shaders, and then raymarched in real time. Each time the player zoom-in a new volume texture is created on the fly. I hope you liked it, see you in the next installment ! In this first post we will go through a basic overview of the building mechanics of Skywanderers. et le kickstarter est ferme depuis longtemps. comment puis je obtenir le jeu , meme en beta ? I need to get this game! This looks awesome.